I just realized that it's been well over a week since I last posted. Has it really been that long? I swear I've been posting regularly, haven't I? Oh right. I usually have a running commentary of future blog posts, thoughts, and ideas going through my head and must have confused the brainstorming as actual blogging. Oops! Don't you hate that when that happens? I find myself doing that with emails too. Hence why some emails go unanswered. I need to remedy that somehow. I also just realized that I never made a post before taking off over the weekend, and so not that many people knew that I went to Seattle for Vogue Knitting Live. All of you on Instagram knew, but even then I was barely able to Instagram much due to the internet not working on my phone (what else is new?) - especially on the Saturday when there was so much happening. Grrr... oh well. I took a bunch of photos anyways. Life in general at the moment has been a little scatterbrained, so it only makes sense that this post be a little scattered as well. I don't know why or how, but the Daylight Savings time change has really messed me up. Who knew that a mere hour can drastically alter your sense of time? Seriously. I've been feeling off by a few days and my timing is all whack - as in it'll be 5:30pm but to me it feels like early noon, which in turn makes me all stressed out and I'm rushing to get dinner made, the Munchkin fed and ready for bed, and somewhat trying to maintain the schedule that we had pre-time change. I feel like I'm playing a constant game of catch-up...but I'm severely losing. So, since I'm having a hard time focusing on just one thing (cause I'm also trying to think about what's coming up immediately after), I thought why not do another random post? It kind of goes with this scatterbrained frame of mind that I'm currently stuck in. Yeah...let's do that. ♥ I can't remember if I mentioned it here on the blog or what, but I had really wanted to finish my Windswept pullover in time to wear it to VKL. I don't know how I managed to pull it off, but I somehow finished the pullover and had it blocked and dried in the nick of time and was able to sport it around on the Saturday. I don't think I took any photos of me actually wearing it though. Soon. I hope. ♥ I had extremely high hopes that I was going to spend the entire weekend knitting my little heart out. After all, I was at a knitting event. But did that happened? Let's just say that I brought along a pair of socks and the current not-so-secret secret project with the intent of coming back home with a finished pair of socks and half of a shawl. So what did I really do? Nothing on the shawl, and maybe an inch or two on a sock. Pathetic. What did I do all weekend?? Yikes! ♥ Whenever I go away for a few days I like to give myself a day buffer when I get home as a way to ease myself back into the routine. Yeah, not this time around. My messed up sense of time would not allow for such luxuries. 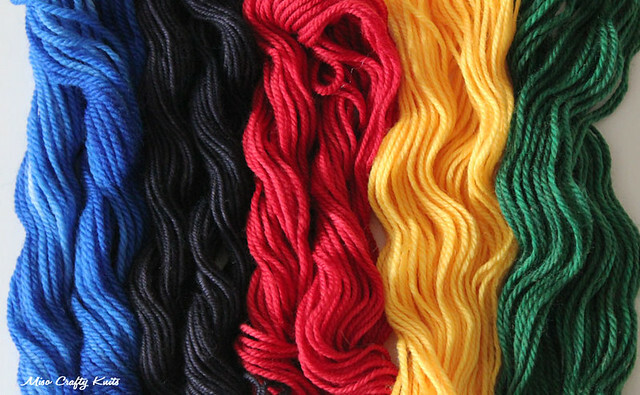 Instead, I was thrown immediately back into reality where I was no longer surrounded by knitters and skeins of beautiful yarn, and had to deal with a major change in our daily routine. Usually I'm all for surprises. Not this time. ♥ The Munchkin is currently on week 2 of his 2 week spring break from school. Lucky duck. Back in my day when I was in school (ooh that makes me sound old! ), we got a week. What's up with this 2 weeks off business?? This could possibly be another source of my messed up timing. Having the Munchkin home during the day, every day, for the past week has proven to be a little challenging. I'm trying to find ways to keep him busy while attempting to keep our schedule as routine as possible...it's exhausting work. What did I do with him when he wasn't in school? ♥ As if Spring Break wasn't enough, we now have to get used to a new routine as the Munchkin has (finally!) started a heavy duty round of therapy (re: it's every day right after school, smack dab in the middle of dinner time. Oh dear...). I know I've never mentioned it here on the blog, since I'm still working it all out myself in my own head and heart, and yeah...I'm somewhat of a private person. But this is something that will forever be a part of my life and will always come before knitting and whatever else I find myself doing. And yes, talking about it is helping me deal, so here we go: last summer the Munchkin was officially diagnosed with Autism Spectrum Disorder. The Mister and I weren't shocked by this, it was expected and if anything it was more of a confirmation (man, the things we had to deal with leading up to the diagnosis...we're more relieved to know what we've got on our hands). The Munchkin is a high functioning ASD kiddo, but there's still SO much to learn and this is only the beginning. So if it's ever quiet on the blog and I haven't given any warning, then most likely I'm busy with life stuff. 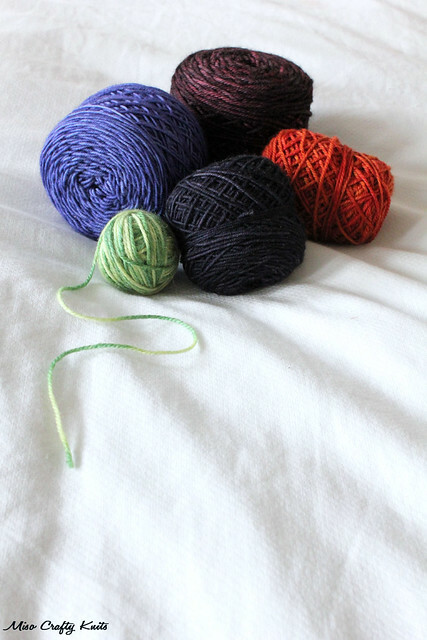 ♥ I've still got to blog about the current socks on my needles. They're almost done. Man, I'm crap at keeping the blog up to date! But apparently I'm pretty good at enabling others into buying yarn. Heh heh heh....excellent! ♥ Yesterday I met up with some friends to cast on mittens for Jane Richmond's Linden Mittens KAL (catch a glimpse of it on my Instagram feed). The KAL had actually started a week ago, but it's only now that I was able to cast on. The KAL ends Monday. I've got 4 days to knit a pair of mittens. I figure I've got 2 days to knit a mitten. I can do it. ♥ I just realized that I had totally forgotten to take my Etsy shop off of vacation mode. Oops!! Well, the shop is now back up and running. Sorry! I think I should go make another pot of coffee. And maybe knit a few rounds of my mittens. Or on the socks. Maybe I should actually take a shower? Better yet, I think I should go make a to-do list. I have a feeling I'll forget something today. Like put on pants. I am the same way - I often confusing *thinking* about sending an email with *sending* it, and the time change has really thrown me for a loop as well. Looks like you got a good haul at VK Live! 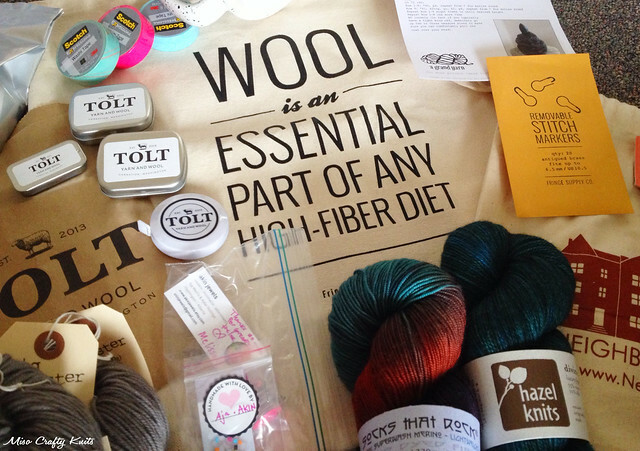 WOW - all the goodies from Tolt look amazing!! !